Valentine’s date night need not be an overly expensive affair. You can plan a lovely date night at home and let the romance shine! Eating in (at home) not only means that you avoid the restaurant crowds but also means you can enjoy your favourite dinner at a leisurely pace in the comfort of your own home. A special candlelight dinner or even a special yummy dessert will surely wow your partner. You can relax together, enjoy a good movie or simply reminisce about your first Valentine’s Day as a couple. Dinner, a fun movie, lots of talking and some novelty cocktails will make for a happy and romance filled Valentine’s Day! 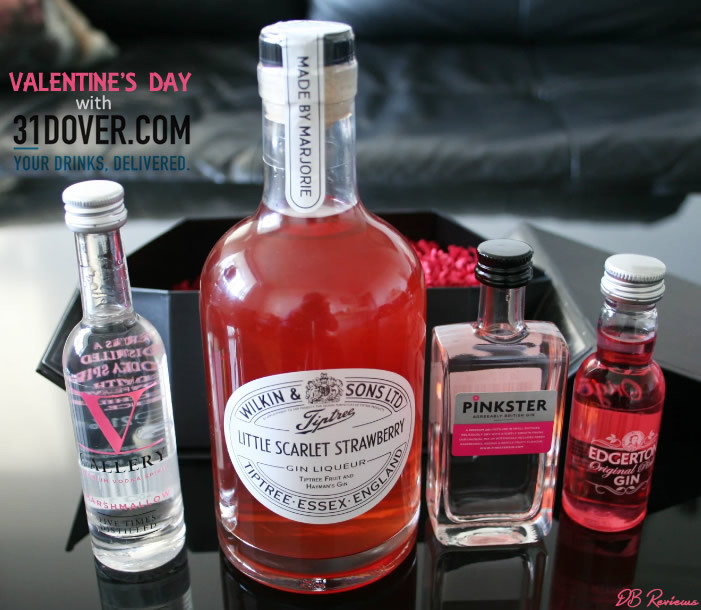 31Dover.com have a large selection of drinks and gift sets that are not only perfect for Valentine’s Day but can be enjoyed any time of the year. But for February 14th, they do have a nice collection of drinks that are either shades of red or pink or have romantic names. Here are some of my favourite picks from their website. A limited-edition that is ideal for Valentine's Day, the new bottle contains delicious small-batch Pinkster gin, lovingly hand-steeped in fresh raspberries to give it its signature hue. Mix up in a G&T with spanked mint and a couple of raspberries for a fruity drink. Distilled at Thames Distillers in London, from a unique combination of 15 botanicals including, Juniper, Orange peel, Cassia bark and Damiana, Edgerton Pink Gin is a fragrant, herby aphrodisiac - perfect for V-day. V Gallery use a 5 times distilled Italian Vodka blended in old grappa casks as their base before infusing it with soft marshmallow flavours. The result is a smooth, flavoursome vodka with hints of grappa and vanilla. This one is best served neat over ice. One of three amazing tipples to come out from the Tiptree/Hayman's gin collaboration, this fantastic liqueur is bursting with fresh strawberry flavours. It has been created by infusing Tiptree's unique 'little Scarlett strawberries' with Hayman's traditional London Dry Gin. The liqueur is intensely flavorful and unique from other mixes. 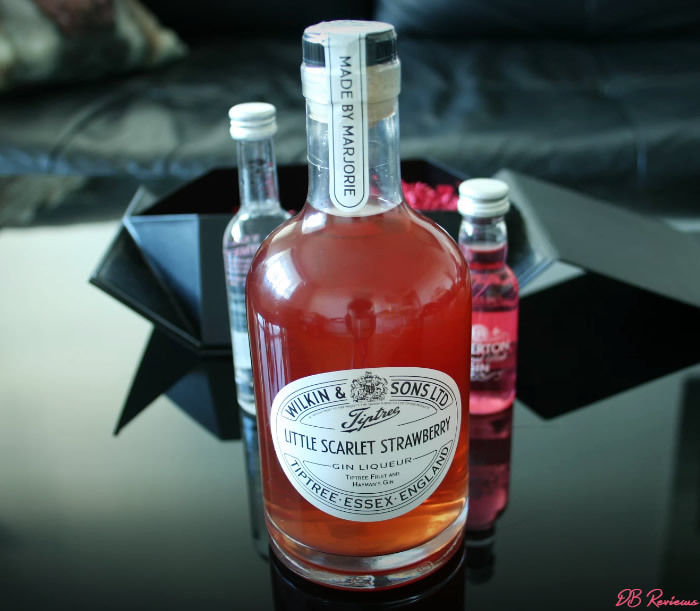 Tiptree Little Scarlet Strawberry can be enjoyed with ice or mixed with champagne for an amazing gin royale! Try it. 31Dover.com also have a number of other offerings like - Lanique Rose Liqueur (£27.95), Edinburgh Gin Rhubarb & Ginger Liqueur (£16.95), Laurent Perrier Rosé Champagne Birdcage (£69.95), The Duppy Share Rum (£29.95), Perrier-Jouët Blason Rosé (£42.00), Bathtub Gin (£29.95) and Rubis Chocolate Wine (£9.95) to name a few. Check out their website for the entire range of drinks and gift sets.